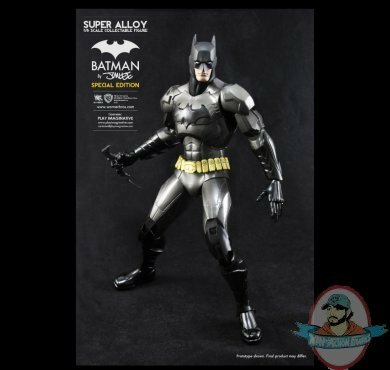 The new Dark Knight comes to life in the form of the Super Alloy 1/6 Scale Collectable Figure "Batman by Jim Lee". 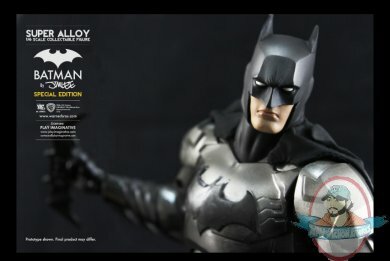 Based on Jim Lee's unique vision, this Batman figure features a more armored suit comprising at least 85% die-cast metal alloy, with more than 50 points of articulation. 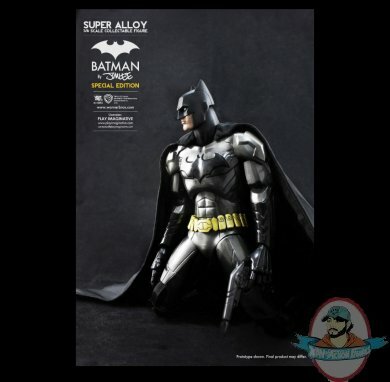 Featuring a detachable and posable fabric cape, grappling gun and batarang accessories, and a magnetic dragon gargoyle display base, the Super Alloy 1/6 Scale Collectable Figure “Batman by Jim Lee” is a limited edition piece for collectors.